This guide is a collaboration between TgTalcon and myself. We have spent countless hours theory crafting on how to make this build the best that it can possibly be. 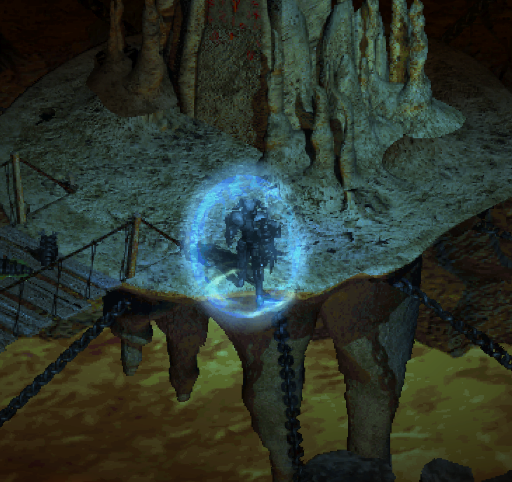 This guide is still a work in progress, Over the next couple of days I plan to include videos / streamed walkthroughs of the more difficult ubers as well as showcase some of the build's capabilities in farming areas quickly. [Disclamer] This is an endgame build. I would not suggest playing it as a brand new player. Currently it is very expensive to acquire the necessary endgame gear as it's highly in demand. (over 2000 Trade Gold) although it is certainly viable in single player games if you want to settle for mid-game gear. This build runs on 16 second timers, it's a rhythm you will acquire if you choose to play this build. You must continually cast Demiurge and Sacred Armor every 16 seconds, they will both keep your gear equipped and keep you alive. Vindicate and Rapture are useful to keep up as well for extra regen and increased speeds. Our only "Achilles' Heel" if you will is not being buffed. you can incorporate that into the mix for bosses just stand in range of them and spam Magic Missile when opportune to do so and they will just melt. This build with full endgame gear is capable of farming 8 player Duncraig, Fautzinville, Bremmtown, Triune, Vizjun, Teganze completely solo, And is able to complete most uber quests with ease. With mid-game gear you shouldn't have a problem doing all of the above in single player games, althought expect ubers to be much more challenging. Currently with endgame gear I am extremely tanky with Vindicate + Sacred Armor + Apple and a Healing Potion active I'm at ~7500 Life Regen/sec and am nearly immortal, add in an Angiris star for Vessel leech and I can tank any 8 player game area without breaking a sweat. Vessel of Retribution: One point. - Still very effective even at 1 point, don't be afraid to get close to enemies! Solstice and Equinox: One point. Rapture: Leftover points go here. - Gotta go fast! Blessed Life: Enough points to get 50% damage reduction with buffs. [End Game Gear] Enough Energy to reach 440-445% energy synergy with VoJ, Rest into Vit. "When do I start putting more points into Vitality?" As soon as your energy synergy is at 440%+ to Vessel of Justice with active buffs you are able to. 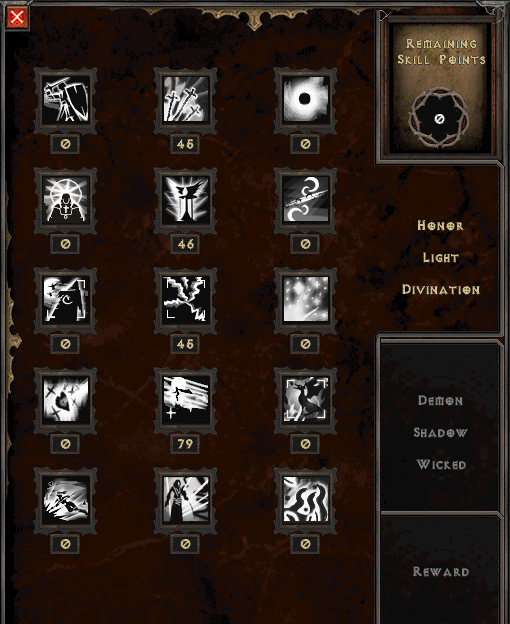 at that point further investment into energy/EF does nothing for you, with endgame gearing and charms you are able to go 100% vitality with no energy investment what so ever, at that point investing exclusively into spell % damage is much more beneficial. You can find an in depth guide on how spell damage is calculated here. - Skills / Spell Damage / Energy, your choice. - With +Skills and High Phys % or EF + Phys %, your choice. - Some Energy / Resists or Spell damage / Resists, your choice. Fill sockets with resist gems / jewels / runes as needed. - Similar to TU 4 Angel Star, But better in every regard. - % Phys Res and with 3 set bonus you end up with +2 skills and 50% vessel damage, definitely an option to consider. Combined with Oris', Exorcism is a great addition for single target damage and clear speed. - Good SF/Spell Dam / Cheaper alternative to Black Masquerade. - Huge damage multiplier for vessels, Makes farming 8 player games / endgame ubers super fast! - Allows you to tank 8 player Bremmtown / Vizjun / Fautzinville the leech makes a big difference. - This belt is still best in slot. on weapon swap is a very useful buff for additional phys% damage try to get a high bloodlust roll. Sockets filled with Perfect Resist Gems or Rubies - For a much tankier setup, slightly less overall dps than enchanted body armor but can reach 30k+ life. [Endgame:] MO your items for Phys % Damage, Mana Regen on Rings is nice if using Spirit Walker for additional phys resist, fill rest with either MF/Resists as needed. 2x into Vizjerei's Necklace at level 140 is handy for more survivability. and adding additional to gauntlets/belt (if you have room for MOs) give us a ton of life and sustain, definitely worth using. You are looking for 12-15 EF, 2-4% Phys % and 2% Energy or 1% All Attributes on each jewel you craft for endgame. First of all please familiarize yourself with Shrines and Item Affixes so that you understand what can roll on each piece of gear. Your goal with shrine crafting is to land a high shrine bonus + get a natural roll (if it exists on the item type) to roll as well to "double dip" on the bonus + other rolls you are looking for. For example if I am rolling enchanted shrines and I want Phys/Magic% on gloves they can naturally roll up to 20%, Shrine adds up to 10% (20% With blessing) with some luck you could potentially land up to 40% Phys/Magic % on a glove craft. Once you get a good craft it's time to "Bless" your item, you can do so by combining it with the shrine you used to craft it + 2 Arcane crystals, it will add an additional shrine roll on top of what currently exists. 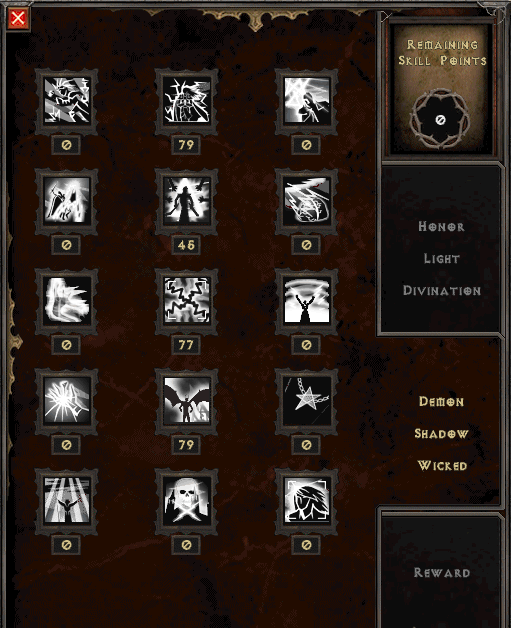 Also be sure to farm the red portal areas and cellars in Hell Act 5, Oils of Conjuration drop uncommonly from them, they have a 40% chance of adding 10% spell damage to your weapons, make sure you try and imbue them! 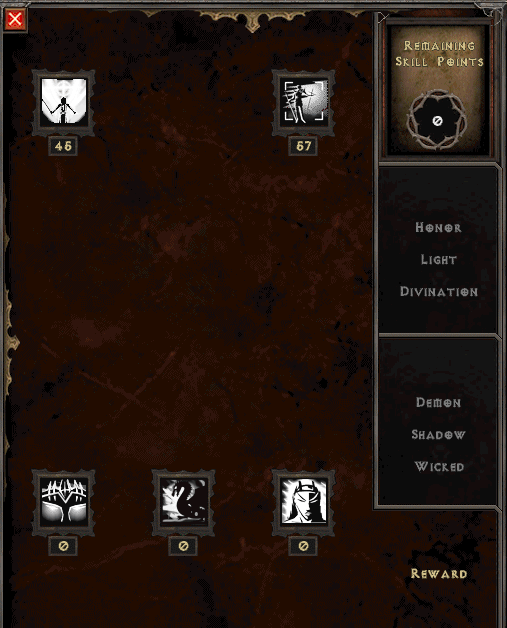 Act 5 Merc may prove useful for hell difficulty, especially if your damage isn't quite up to par. here is some gear you could try and acquire for it, mostly runewords or tiered uniques. / Crafted 2-handed Sword Roll for High Max Damage and ED. Socket All Tiered Unique Armor pieces with Ko runes, Crafted Weapon with Jah Runes. I also just put together an Act 2 Fighter Mage merc that is actually surprisingly good. He seems to increase clear speed quite a bit and gives me Demon Blood Aura which puts me to over 26k life. He casts Fortress combined with his 65% CB clears pretty well and helps to pick up stragglers we miss in Duncraig/Fautz, he also casts Chronofield which reduces enemies physical resistance which helps our VoJ do more damage. Merc is absolutely unnecessary but nice for the extra life buff (Khazra Plate) and extra damage he provides. Here is the gear I put together for him, I had a budget of about 600 TG. - Gives us and merc a 50% life buff. - decent procs and ITD for merc. - in eth scythe - doom proc (-magic res for our magic missiles) and gives quite a bit of damage to merc. - get 10% STR roll to help with equipping Khazra. - 15% Attributes roll to help with equipping Khazra. Every 105-120 and most 125+ ubers are possible with this build with endgame gearing. I have not completed: Yshari, The Witch, Lazarus, The Void and Samael so I cannot comment on their viability. I just recently ended a stream where I muled all of my charms and did most ubers with charms I collected along the way, here are some highlights. had 45k VoJ damage at start of stream, still a fair amount more damage than mid-game gearing without an adjudicator but it's the best I could do with my limited time, either way most of these fights are fairly straight forward I'd just expect you would need to add a bit more time to each kill. Edited by mill3nia 2 months. You should be able to item tag the Collector and other su's. the item tag database should be updated. Crash wrote: You should be able to item tag the Collector and other su's. the item tag database should be updated. done, database was not up to date when I submitted guide, thank you. It's definitely an option, if you can get TU4 with +4 skills it may edge it out with damage though, I would have to test. I plan to compile more options for leveling, perhaps I might experiment with a completely different spec until you can reach mid game gearing options, I was thinking holy paladin may be a bit smoother in hell and acquiring early charms. Nice work, hope to see more showcase stuff! mortimer_85 wrote: Hey man, finally approved. yes both are viable options, and yea I intend to do a full charm run tomorrow night and stream it, most charms 105-125 and post highlights here.